You'll be £12.99 closer to your next £10.00 credit when you purchase Twelve Days on the Somme. What's this? A joint operation between Britain and France in 1916, the Battle of the Somme was an attempt to gain territory and dent Germany's military strength. By the end of the action, very little ground had been won: the Allied Forces had made just 12 km. For this slight gain, more than a million lives were lost. There were more than 400,000 British, 200,000 French, and 500,000 German casualties during the fighting. Twelve Days on the Somme is a memoir of the last spell of front-line duty performed by the 2nd Battalion of the West Yorkshire Regiment. 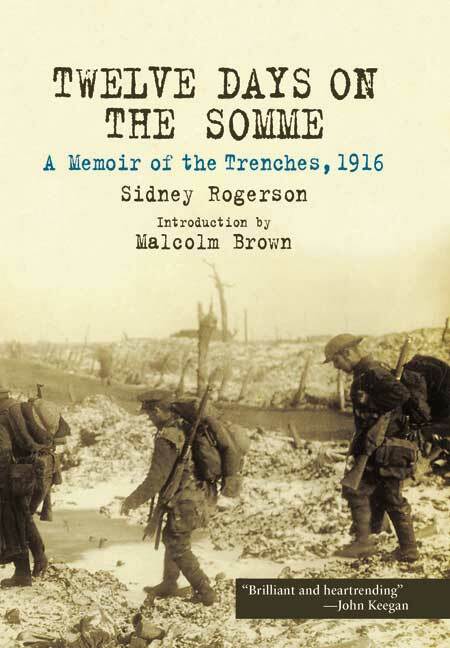 Written by Sidney Rogerson, a young officer in B Company, it gives an extraordinarily frank and often moving account of what it was really like to fight through one of most notorious battles of the First World War. Its special message, however, is that contrary to received assumptions and the popular works of writers like Wilfred Owen and Siegfried Sassoon, men could face up to the terrible ordeal such a battle presented with resilience, good humour and without loss of morale. This is a classic work whose reprinting is long overdue. This edition includes an introduction by Malcolm Brown and foreword by Rogerson's son Commander Jeremy Rogerson. A personal account first published in 1933 which has become something of a Great War classic … This really is a first class memoir, well written and full of a charming and descriptive narrative. Ten/Ten. A classic. It is a remarkable book and one which should be read by every one with any interest in war â€“ or peace. It has to be read more than once â€“ its understated style takes a little time to absorb but the effort is well worthwhile.